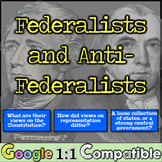 Federalists vs Anti-Federalists & the new Constitution: What were their views? 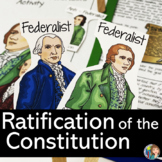 The ratification of the Constitution and the debate between the Federalists and Anti-Federalists is a hard concept for students to grasp. 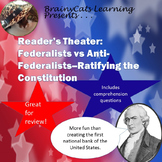 Instead of the boring lecture and notes, try this activity instead! 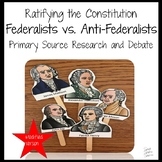 It will engage your students with a debate, and still challenge them with primary sources. 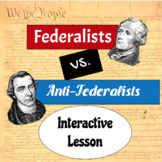 Are your kids struggling understanding Federalists vs. Anti-Federalists? This chart gives visual aids to help students understand the differences between the two groups. 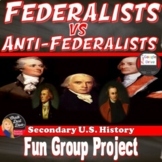 Federalist vs. Anti-Federalist Game Which one are you?? 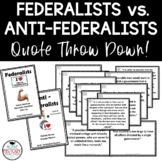 Brochure Activity in which the student will sort words onto either side of the brochure indicating if they are Federalist or Anti-Federalist. 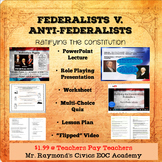 The student will then also review the concept of Federalism and the Great Compromise. 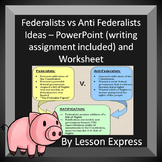 Good re-teach / review activity. Word Bank included. 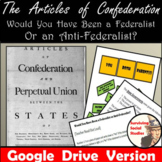 This Articles of Confederation resource is the GOOGLE DRIVE version of one of my best-selling resources! 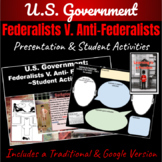 Trying to find a way to explain the Articles of Confederation to your students without them drifting off into daydream land? This mini-lesson helps to make it real by connecting to their lives.